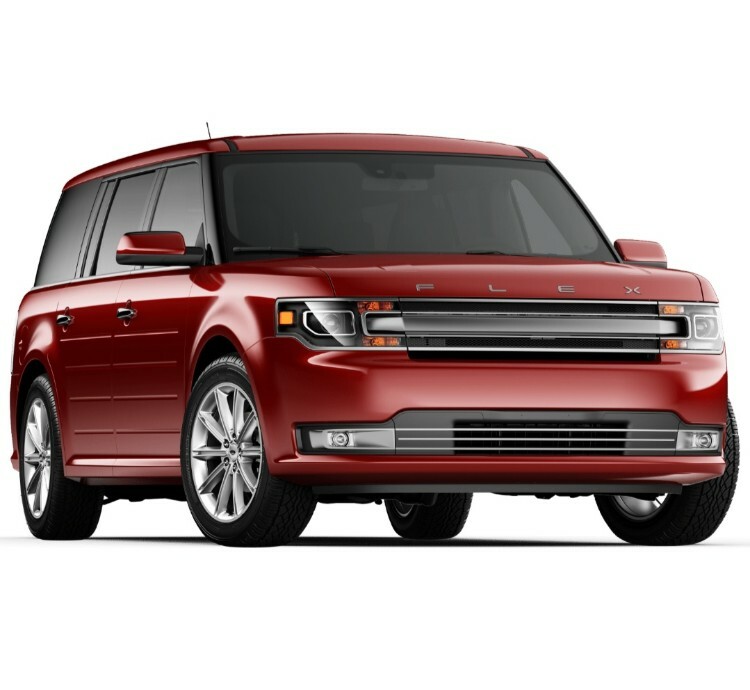 Ford continues to offer a well-rounded set of color options for the 2019 Ford Flex, which is a full-size SUV with a conservative style. If you prefer dark, white, or gray body colors for your vehicle, Ford has a good selection to choose from. If you're looking for something vibrant and unusual, you're limited to a bright red and wine-colored burgundy. So, let's take a look at all the colors and options that we have with this model. Ford's exterior paint scheme begins with a set of five colors that are available for the Flex SE. If you prefer white or off-white hues, Ford has Oxford White. They also have Agate Black and Magnetic for shoppers who prefer something dark. Ingot Silver is a lighter gray option if you'd rather lighten up a monochromatic paint job. Ford can also put on a Blue coat of paint if you want more color without paying extra. The SEL and Limited trims have premium colors like the flashy Ruby Red and the wine-purple Burgundy Velvet. Both will add $395 to the Flex's price tag. Ford also offers a slightly darker White Platinum color for an additional $595. 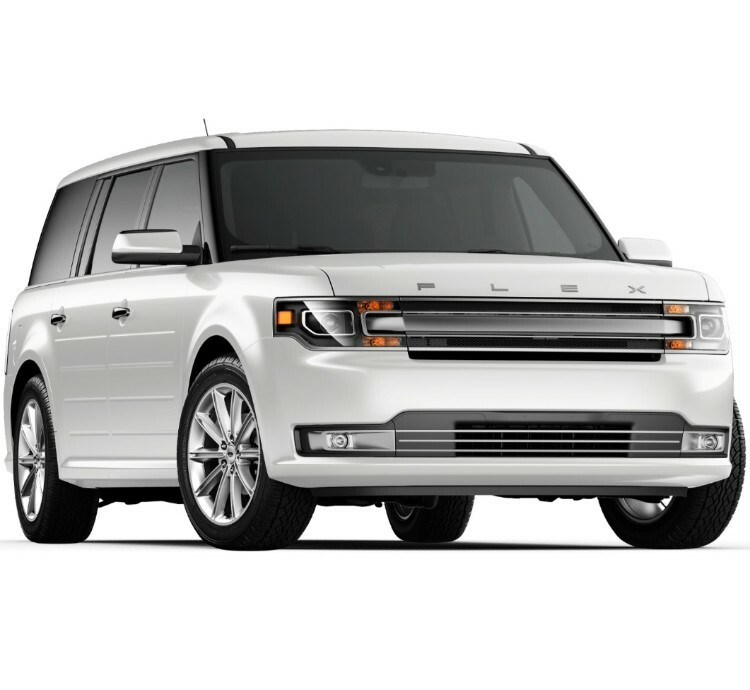 You can choose to have the roof painted Agate Black instead of matching the rest of the Flex's body, but this is included with a couple packages that will cost an additional $3,895. Do your homework before choosing this option, as it adds many features you might not want like black wheels. The basic interior colors available for the 2019 Flex are a lighter, sandy Dune color or a more conservative Charcoal Black. The Flex SE is limited to cloth upholstery, but the SEL trim adds three leather options to the mix: Dune, Charcoal Black, and a two-tone Dark on Light Earth Gray color scheme. Adding Dune or Charcoal Black leather to the SEL upgrades a package that costs an additional $2,400, and the package that includes two-tone leather will set you back $3,895 and lock you into black wheels and roof to match. 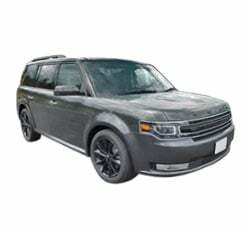 Leather is part of the standard package for the Flex Limited, but two-tone leather will add $1,495 to its final price while forcing you into that same black exterior combo. The Flex offers a couple different wheel upgrades that include color changes. The SE only has the default 17-inch wheels painted Sparkle Silver, but the SEL and Limited trims can be a bit more creative. The default wheels for the SEL are 18-inch aluminum wheels painted Sparkle Silver, but you can opt for 20-inch wheels that are either Sparkle Silver or High-Gloss Ebony Black. The Ebony Black wheels come with a package that costs $3,295, while the 20-inch Sparkle Silver wheels is a standalone option costing $895. The Limited trim has similar wheel options as the SEL, but the default wheels are 19-inch aluminum wheels painted Luster Nickel. 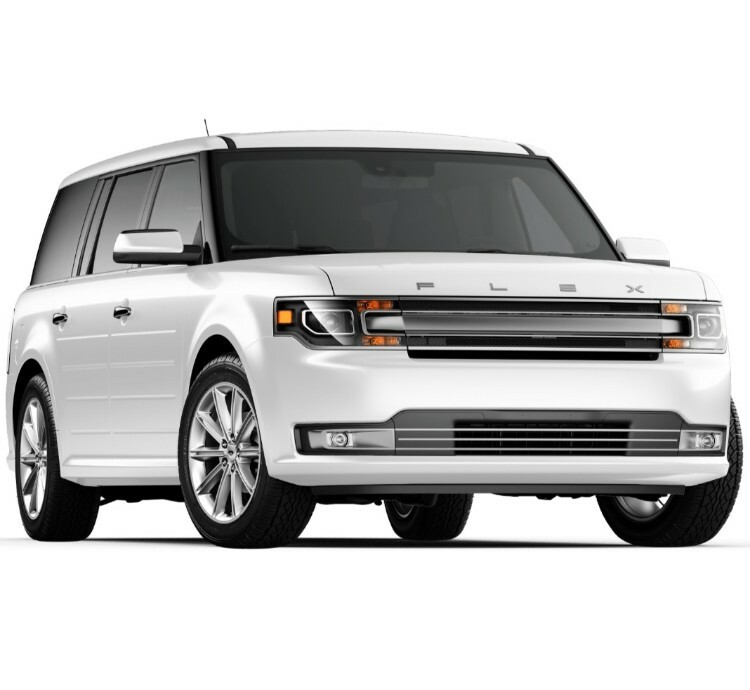 You can upgrade them to the Ebony Black 20-inch wheels that add $1,495 to the Flex Limited's total, or you can choose sportier 20-inch polished aluminum wheels for $1,095. You'll need to be mindful of packages that the wheels belong to when you are choosing your interior color scheme. For example, the two-tone leather interior adds a package with Glossy Black wheels, and vice versa. The polished wheels are available with either of the monochrome leather interiors, though. It's the same for the SEL trim: Glossy Black wheels are paired with two-tone leather, but you can choose the 20-inch Sparkle Silver wheels for the other interior choices. The 2019 Ford Flex has a basic set of color options that mainly fall into the conservative black, white, and gray category, and even the colorful options are dark. Only the whites and Ruby Red could be described as bright. If you're looking for the ability to mix and match chrome or secondary colors, the only creative outlets you'll find are the monotone interior options and choosing between different silver wheels. It's also possible to highlight a colorful body paint like Ruby Red or Blue with black accents by adding side window deflectors, a hood deflector, and splash guards. The trailer hitches for the 2019 Ford Flex are silver. The interior colors that work with the brighter color options are grays and blacks. The tan Dune interior does work with Ruby Red well, but you can't go wrong with the charcoal or two-tone interiors because they match just about any exterior color.